Commuters boarding a bus on the North bound side of Bainbridge Avenue between 210th street and Gun Hill Road. New York City transit has tried new methods for letting passengers know when to expect buses to arrive. But a series of observations in the Bronx this fall shows that those methods still leave people hanging. Observations of rush-hour commuting on the Bx12 and Bx19 buses found arrivals running at least two minutes late and often longer when compared to the printed schedules found at bus stops. The BusTime app used by the MTA worked better, but was still predicting arrivals before they occurred. And sometimes the app said it was not tracking any bus coming to the stop. Commuters have their own observations. Mia is a student who take the bus every day to attend her school and get back home. “The MTA Bus Time App is not accurate because they tell you that the bus is at stop when the bus already quit the stop,” she told us. “You will just see the bus leaving but the MTA Bus Time App still show that the bus is at stop.” That had happened to her just the other day: She checked the app, saw that a bus was coming, made it to the stop with the bus reported to still be there, and saw no bus. It was gone. Buses are slow; that’s one problem no app can fix. The Bx2 often take more than 30 minutes to get from 3rd Avenue and 144th Street to the next major stop at 149th Street and Courtlandt Avenue. But the app seems to have a hard time keeping up with just how slow the bus is. Sometimes the estimated arrival of the bus is aspirational at best. Stephanie Veras, an organizer for the Riders Alliance, says the app and related texting technology “has been somewhat accurate but not all buses are equipped with the technology.” Newer buses have GPS that allows the tracking system to work, but older buses might not. Technological uptake is uneven on the passenger side, too. Despite the advent of the app, the survival of the printed schedules is important, too, because “not everyone has access to that technology,” Veras says. “Some people still have flip phones so they can’t download the app.” Storage limits and wifi reception are also obstacles for some riders. The printed timetable reflects what the MTA is trying to do, however, but is rarely very accurate. “What it does allow riders to do is know how often the bus is supposed to come,” Veras says. In other words, it tells you whether buses are running every half hour or every five minutes, so you can figure out what having just missed a bus means for your day. 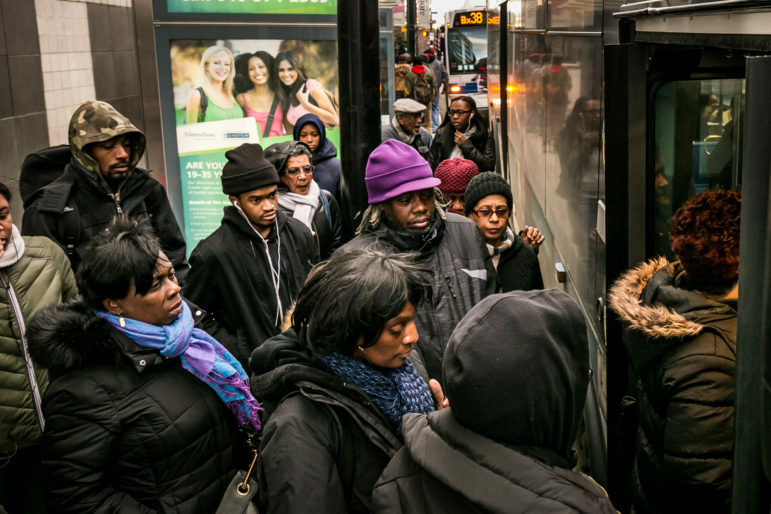 Scheduling issues are just one concern about Bronx buses, whose ridership has been flat over the past five years despite a 5 percent increase in the borough’s population—math that transit advocates believe points to passengers giving up on buses. A joint effort by Riders Alliance, the Straphangers’ Campaign and other organizations called the Bus Turnaround Campaign is pushing for investments and reforms to improve bus service citywide. Select bus service or SBS—where passengers pay in advance and board at every bus door—is one policy the Turnaroud initiative supports. Its research indicates that the Bx12 SBS is 20 percent faster than the local Bx12 during rush hour. The bus routes themselves are part of the problem in the Bronx, says Veras. “It’s an issue moving east to west, going cross town. There are very few bus lines that cross over. You have to take multiple buses to move around the Bronx so it presents challenges to mobility,” she says, noting that transfers are even more of a burden to people who don’t have the financial flexibility to buy unlimited-ride MetroCards. The biggest challenge for Bronx buses, according to Veras, is bunching. That’s when one bus is so late that it comes at the same time as the next bus, resulting in an inefficient glut of seats. But when it comes to knowing where the bus is and when it is coming, Accuardi believes the Bronx has seen progress. “While Bus Time is not perfect (for example, it only reports vehicle locations every 30 seconds, and GPS units do sometimes break down), it is an enormous improvement over the paper schedules, which are not of much use during the day when most people are riding the bus,” he writes. 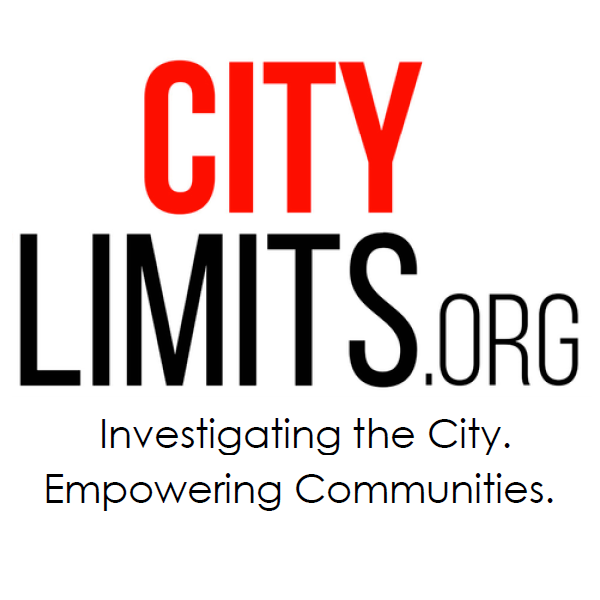 This article was reported by members of the City Limits Fall 2016 Bronx Investigative Internship Program. Click here to see other journalism produced by that initiative. The MTA and DOT need to roll SBS features into most lines. Off board payment should be the standard citywide. Additionally, bus only lanes and queue jumps should be implemented wherever traffic is a problem. If private vehicles have to deal with a longer trip, so be it. City buses should ALWAYS have priority over personally owned vehicles. And yes, this includes bridges. In fact, perhaps we should dedicate certain Harlem River crossings to buses and emergency vehicles. Many of the bus lanes also require physical separation to keep drivers out of them. Bus only lanes are regularly violated and that is unacceptable. The majority of Bronx residents do not own or lease an automobile. Even fewer drive to work. Does it really surprise anyone that people are avoiding buses when the city and MTA treat riders as second class citizens? tries to give you more information to judge the accuracy of the predictions, like the bus location and how far behind schedule it is. It’s a webapp so it works with any device with a web browser without using any extra space. What the MTA needs to do is adopt a fare structure which would allow on board fare collection via any door of the vehicle (similar to San Francisco MUNI or Houston Metro) on Local and LIMITED-STOP routes, while the SELECT BUS SERVICE routes have the Off Board Fare Collection (which would be added to the S79 route in Staten Island). Incumbent Democrat Helen Rosenthal faces two opponents who say she has abetted or acquiesced to development plans that are disfiguring the Upper West Side. Public Advocate hopeful JC Polanco also believes relatives of the severely mentally ill should be legally obligated to report when those patients appear dangerous. Sure, shopkeepers and landlords sometimes fail to keep sidewalks clean. But it’s the corners of the borough that belong to no one in particular where garbage seems a permanent condition.